Norwegian P2 “Excursion” Team pose in their hangar in front of their new amphibian aircraft. Some of these flying machines you may have seen before, but likely not all of them. They are clearly not the standard variety of new aircraft, but this fact alone might motivate one to take and interest in how their actual futures come to pass. The Video below is only 10:12 in length and was created by “Minds Eye Design,” which has also published other interesting videos, although not all exclusively aviation related. 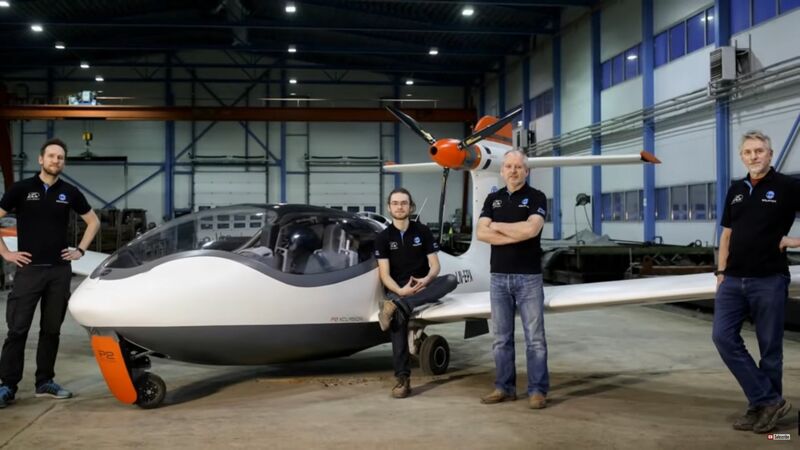 This entry was posted in AVIATION NEWS, HOT NEWS!, NEW VIDEOS and tagged "Century" by XTI Aircraft Corp., "P2 Excursion", "TriFan 600", "TriFan 600" VTOL Aircraft, 10 Radical New Aircraft Designs, 1st Fixed Wing Ultralight All Electric VTOL Airplane, Amphibian Airplane, Burt Rhutan's Canard Design DEFIANT, Carbon/Kevlar Construction, Cassie, Cayman Caymax Contra Rotating Helicopter, Centauri Aircraft Valkerie, Cobalt Aircraft Line, Commuter Aircraft, Concepto Millenia, Drone-like but carries passengers, Ducted Fan, Minds Eye Design Videos, Norwegian Based Equator Aircraft Corp., Reacher, Samson Motor Works Flying Car, SureFly Aero, Ultralight VTOL Flown Without Pilot's License Requirement, Valkerie Pusher Luxury Aircraft, Vertical Aero Space Ltd. UK on November 18, 2018 by FASFRIC.